There has been very little felting – or other actively creative things – in my life recently. As a person who thinks more in pictures blog posts and even my trusty journal (kept over the past thirty five years) have been largely neglected. Some things seem just too big for me to see them in words! My life over the last couple of months has been filled with family things – with sorting through a whole houseful of family memories deciding what to keep and where to keep it, what to recycle what to get rid of and how to do it. Now the family house is on the market and my sister who has done the bulk of the work is heading down to London today to be a Paralympic volunteer. So the studio, otherwise known as our spare room, has been tidied and rearranged – my felting table folded up and boxes of wool put away for the next month or so. In honour of family here is my Father’s favourite picture of my Mother. 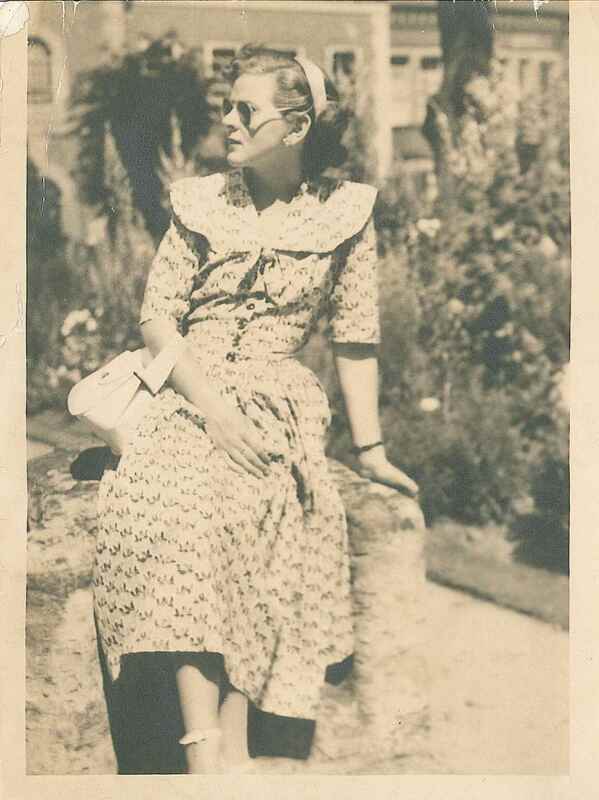 It was taken by him the year before they married when she was about 20 (1948ish). She is sitting on a sundial in the garden of Anne Hathaway’s cottage, Stratford on Avon. How young and glamorous!